Yesterday, Jasmine Guinness launched the Guinness Storehouse Ambassador Programme as part of the year of ‘The Gathering’. 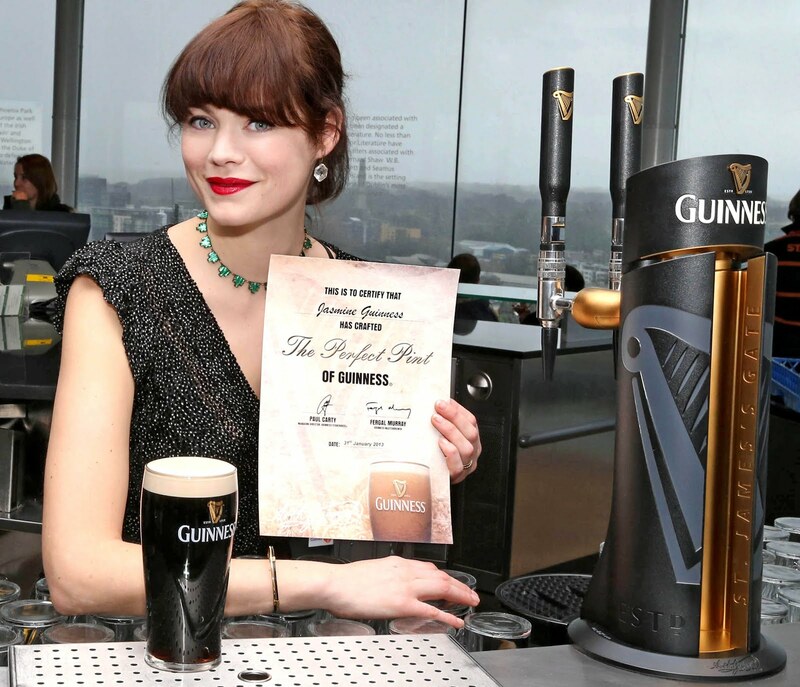 The programme invites Irish residents to apply online for 1 of 50,000 exclusive ambassador cards entitling them to complimentary admission to the Guinness Storehouse throughout 2013. Friends and family who come home for ‘The Gathering’ will also receive a 10% discount off admission. Paul Carty, Managing Director of the Guinness Storehouse commented that “during the year of ‘The Gathering’, Irish people are encouraged to invite family and friends ‘home’ to Ireland. We want to reward and encourage those who get behind this special year for Irish tourism by opening our doors to them, free of charge, throughout the year. The Guinness Storehouse is the ‘Home’ of Guinness, and in celebration of ‘The Gathering’, our 50,000 ambassadors are welcome to make our home theirs”. Welcoming the announcement, Jim Miley, Project Director of the Gathering Ireland 2013 said “we’re delighted to see that the Guinness Storehouse is rolling out the green carpet for visitors to Ireland throughout 2013, the year of the Gathering. The concept of the Gathering is based on a personal invitation from the people of Ireland to our friends, family and connections overseas. The Guinness Storehouse ambassador programme will facilitate those of us hosting gatherings to offer our guests a unique experience at one of Ireland’s most popular attractions”. Throughout the year, active ambassadors will be entered into a competition to win their own Gathering party for 100 of their friends in the Gravity Bar at the Guinness Storehouse with food, refreshments and entertainment provided. Card holders will also be offered a range of benefits during 2013 including exclusive competitions to win tickets to Guinness events, Guinness merchandise and a range of special Guinness Storehouse experiences to be won throughout the year.